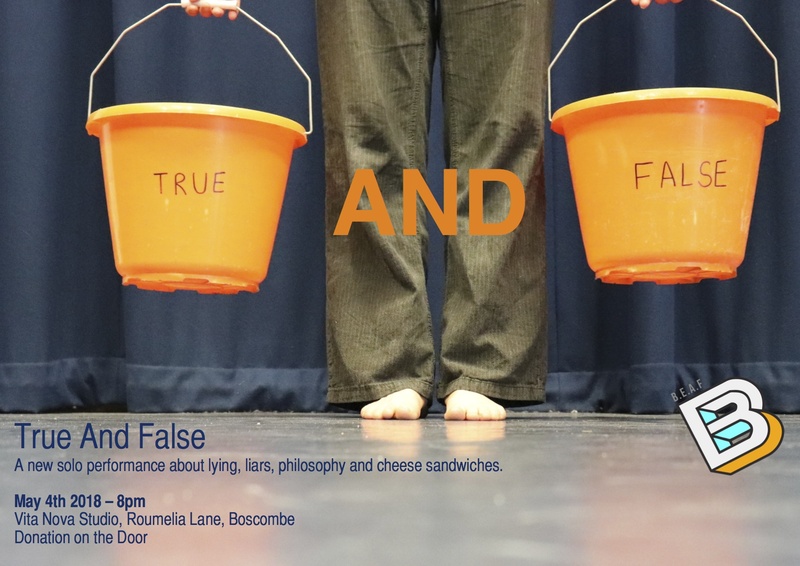 Be part of the first audience ever to see my latest performance, its about lying, liars and may even attempt to explain the inner workings of the minds of French Philosophers through cheese sandwiches. New creative writing course starting soon at EDAS in Poole open to people using EDAS service, as well as people who may not currently be in treatment, but are in recovery from addiction. If you attend EDAS, please speak to Michelle about signing up. If you’re interested in attending the course, but aren’t currently in treatment, please contact me directly for more information and to book a place. The course will be held in Poole, and will be an introduction to lots of exciting ideas in creative writing, sessions will be fun and you will be encouraged to work at your own pace. PlayGroup is a new theatre workshop group for adults, the workshops will be taught like short courses, each focusing on different aspects of theatre and performance. An emphasis will be placed on supporting both your individual interests and the groups aims over the duration. There are lots of benefits in regularly taking part in theatre workshops, some you might expect, like learning stagecraft and performing skills, others may surprise you as you develop your own creative skills and accomplish things you didn’t think possible. The workshops will be taught at an ‘open’ level which means they will be suitable for people who may never have acted before through to people who already have experience in performing. The sessions will place a focus on fun and learning at your own pace, and I promise that I never make anyone stand up in front of an audience who doesn’t want to! If you’d like to find out more before signing up, I am offering two opportunities to attend a free taster class. If you can’t attend a taster, but would be interested in joining the classes, please get in touch and I will add you to a contact list for updates of future times and classes. Places are limited, so please get in touch to express your interest & reserve your place. I recently challenged you all to come up with some questions, that we could ask of art, together. There are some seriously deep thoughts amongst the responses, which is great. I guess people really do think art can answer those huge universal questions, as well as those day to day fearful observances which challenge our sense of self. I’ve picked three questions, which I’m now setting my mind to responding to artistically. As this is an online dialogue, I’m starting to feel a little challenged by thinking about making something which is performance and able to work online, digitally, etc. However I quite like that challenge as its something new to think about. A process has begun, watch out for the ‘answers’. coming soon. Art can often help us understand a bit more about life’s great questions… why are we here? How can I be happy? what will I have for tea next tuesday?! I’m going to try and respond to some of these questions by creating 3 short works which will be made for online publication. But I need your help…. I’d like you to suggest the questions! You can post to Facebook, Twitter, or in the comments below. You have until 11pm on wednesday 4th November, be as silly or as serious as you like! The “beautiful and moving poem about what it means to be human” will be performed in a slightly unusual venue at 4pm on Saturday October 24th at Chaplins Bar in Boscombe, Bournemouth. I’m performing as part of Bournemouth Emerging Arts Fringe, which you should check out (if you haven’t already!) as there’s some really exciting local artists, working across different art forms. For this particular journey of Left Luggage, I will be performing al fresco (fingers crossed for the weather!) at Chaplins bar on the raised patio area above the garden… boasting views of the local skyline as a backdrop , I plan to take the audience on the 30 minute journey of love, loss, trains and bad rock and roll, that is Left Luggage. So come along & bring a friend – its a £3 optional donation on the door after the show. There are no tickets for this event, but places are limited, so if you ‘d like to reserve a seat please contact me.